Dinner on the Road (Dinner on the way) It is a new gastronomic experience that will begin its journey in late October as the first mobile restaurant in the world. Belgian entrepreneurs Stefan Kerkhofs and David Ghysels already run successfully for 2006 the project of flying restaurants Dinner in the Sky (Dinner in the Sky). This time, They want to descend from the heights to its customers, specifically to a futuristic vehicle almost entirely transparent, Hopefully those concerned tinted windows through which only people inside the vehicle can see outside without being seen from outside, but a similar experience would be an animal zoo, although it would not be surprising, because lately it is becoming fashionable that seeing others eat. 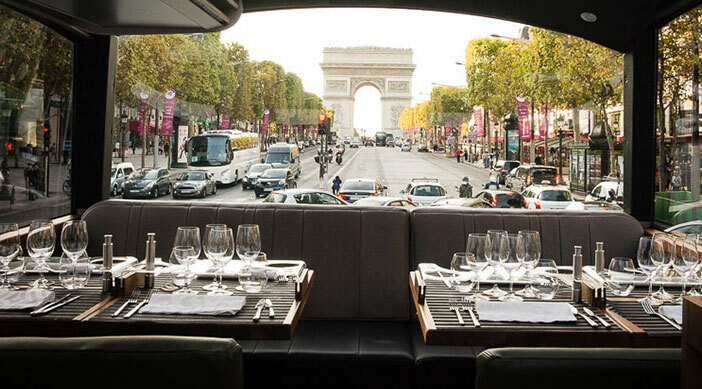 Leaving aside the foibles of each, the original and attractive bet is focused on this vehicle equipped with a professional kitchen and a digital table 16 diners. 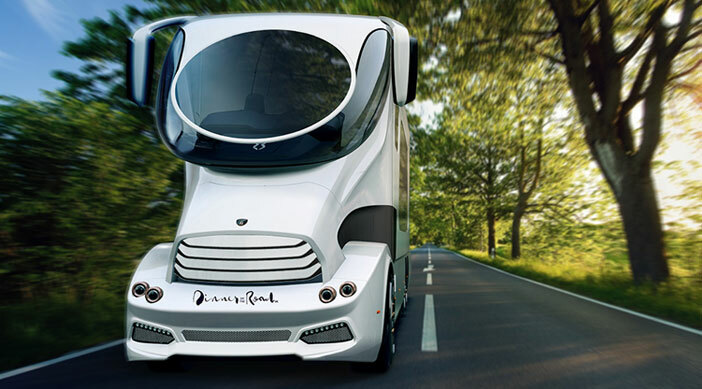 The mobile restaurant will collect customers where they are and take them to where they want to move, well on the way they admire the surroundings while eating. 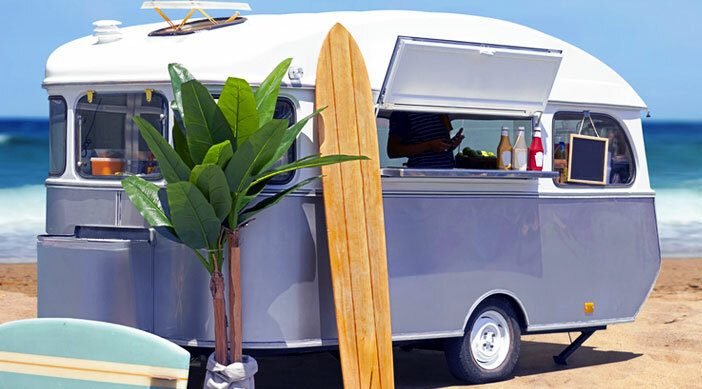 Dinner on the Road was born as the first mobile restaurant in the world but this project reminds us to known food trucks, those trucks hawking food. 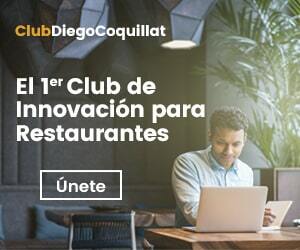 According to the blog 100profitable business, They are a good idea that can transform a restaurant into something very productive. It is to provide a traditional business innovation, in this case it gives flexibility and lower costs. Move to direct customer search, what can become a very profitable action. In Paris and a very similar project was hatched. The city of lights has many places to visit and a way to cross them all is on board Bustronome, a bus linking sightseeing with gastronomy. 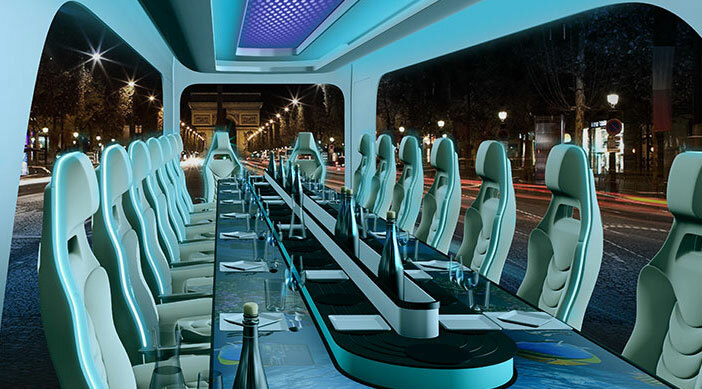 We're talking about Paris, so it's a luxury bus, conditioning as the most sophisticated Parisian restaurants. Two hours at noon and two hours at night during which you can admire the icons of the city while enjoying high quality food. But the French capital and offered us food on the move, in this case floating food, with its romantic dinners on board ships plying the Seine. From the United States comes the concept of food carts, something that Spain is not so common. Usually they sell sandwiches or hot dogs, easy meal to eat anywhere. And if you opt for a more elaborate menu and emplazáramos on multiple sites in a fixed schedule? So customers acostumbraríamos. Maybe winter is not a very comfortable option but in times of good weather, more fancy eating terraced, for example. Instead of a cart, in this case, We should opt for a van well prepared to offer a better dining options. The advantage of this business is that a vehicle is cheaper than paying rent for a local, coupled with the ease of moving from one area to another looking for places where there is more supply. Drawbacks derive, mainly, local administration, Maybe this many facilities to occupy public space or vice versa. 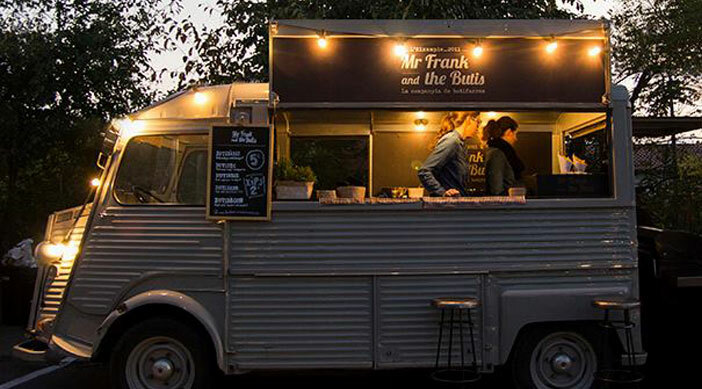 Mr Frank and the Butis: catering real sausage snacks. 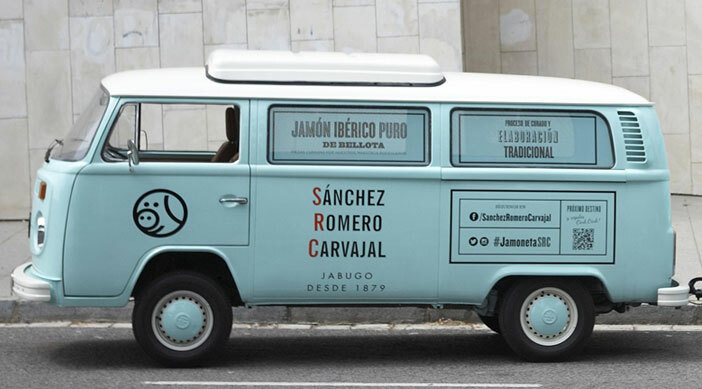 the Jamoneta: Pure Iberian ham acorn Sánchez Romero Carvajal served in a Volkswagen Caravelle. 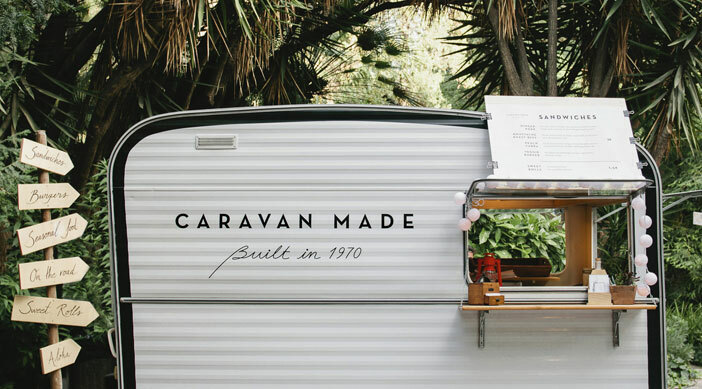 Caravan made: gourmet sandwiches with vegetables from the garden of their owners. 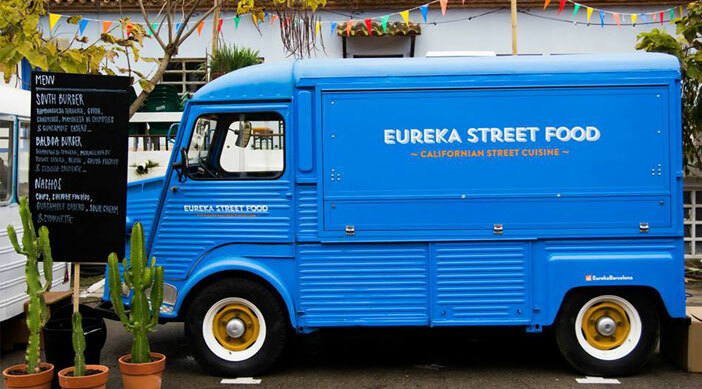 Eureka: quality food made with organic products and proximity. They report on its website on where they are at all times. In fact, communication of these businesses on social networks can greatly help attract customers. 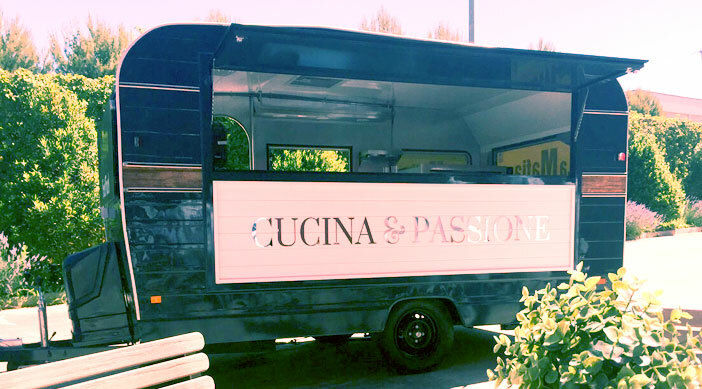 The Mafia: To celebrate its 15 anniversary, the franchise has launched its foodtruck with a gastronomic proposal based on the specialties of its restaurants: pizza, pasta, antipasti and salads, that surely will delight your customers. Spanish law recognizes, regulates and authorizes, certain requirements, hawking food. The major drawback in Spain is that its operation is restricted to certain places or events: Street markets, fairs, festivals, events, Popular celebrations… Forget the absolute mobility. Certificate of being up to date with tax obligations and Social Security. Copies of the contracts of all those involved in the business. Certification received sufficient training in food handling. High in the business tax. Liability insurance, It is not mandatory but advisable. It seems that gastronomy moves…What do you think? Journalist Master in Digital Communication. Curiosa since birth. Always with a notebook and a book in the backpack. Fascinated investigate novel and interesting topics related to Social Media restauranting. Burgos, specifically, Salas de los Infantes. I think that besides the lack essential requirements set out among others as necessary where it is made or transforms matter prina, that is to say, product traceability from supplier that delivers us to the end customer. Cold chain if required, and I was drawn in the Food Truck, how I get the product, subjects? They have pointed out earlier manipulation? Eye health, inspection that observes and monitors. And the occupancy permit on public roads? It has nothing to say Urbanism, the Ayto. of each municipality?